What are the Best Boutique Resorts on Koh Chang? These aren’t the most expensive small resorts, they’re just great, friendly, well-run places to stay. You don’t get all the same facilities as at a larger hotel but that’s definitely compensated for in the attitude and friendliness of the staff and owners. Note that none of these choices are right on the main west coast beaches. So they’re great if you want to avoid the tour groups and want somewhere more laid back. A couple of the places are in Lonely Beach, the backpackers area. These would suit you if you still like a good night out but also enjoy some home comforts and having a laid back spot to relax and get over your hangover. Tucked away on the East side of Koh Chang, Amber Sands Beach Resort promises all the beauty that the island has to offer, with none of the noise, the crowds and the hassle. This resort is one of relaxation, where walking barefoot is encouraged, allowing you to feel the sand and warm stone beneath your feet. As a boutique resort, the Amber Sands can afford to make sure that all of its guests are adequately catered for and, as such, there is no rush during meal times or time wasted waiting for a table to become free. From locally grown coffee, to freshly caught fish, there is something on offer to sate every appetite. The resort’s restaurant offers a huge range of meal options, including Thai and European cuisine, fresh fruit shakes and refreshing cocktails. Children are also catered for with a special kid’s menu being available. Should you get hungry throughout the day, then the resort offers a wide array of tasty snack foods and breakfast can be arranged for early or late starts by request. The resort is located far away from the more built up areas and, other than an independent restaurant that lies next to the resort, there are few other options available without a short car journey. For example, although the resort lacks its own spa, the oft-recommend Spa Koh Chang can be found a mere 15 minute drive along the coast. And a further 10 minute drive will bring you to the fishing villages of Salakkok and Salakphet which have remained relatively untouched by tourism. For some travellers, such things may be inconvenient but this does have the added benefit of making sure that the resort stays peaceful and serene throughout the night. Should you wish to dip into the more tourist-oriented parts of the island then motorbike and car hire can be arranged quite cheaply. Similarly, a taxi ride into the White Sand hub of the island will cost about 400 – 500 Baht each way if you fancy a night out. This is an exquisitely small resort, containing only eight bungalows. These come in a variety of styles and costs though the price per room is around 3,000 Baht for each night booked during the high season. At most, a bungalow can fit four people comfortably so, even at max capacity, there will never be more than 40 people at the resort at once, including staff. Since this is such an exclusive location, be sure to book in far enough in advance as somewhere as serene as this is guaranteed to get snapped up quick. Each bungalow comes with free Wi-Fi, along with air-conditioning, a safe, complimentary bottled water and bug spray, as well as toiletries. The more expensive bungalows offer more floor space and elevated views, meaning that you can enjoy an even more impressive sight when you look out towards the sea. In this price range, it will be difficult to find a resort which offers as much calmness and luxury in such a small area. The resort has a warm, welcoming feel with an intimate atmosphere that fosters a great relationship between the guests and the hosts. 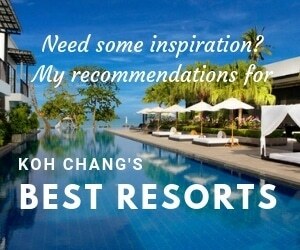 No wonder it’s on most people’s lists of the best boutique resorts on Koh Chang. Just a short ride from the ferry pier, Serenity Resort is an idyllic place to visit if you are in search of a quiet location to be alone with your loved ones. Living up to its name, the Serenity Resort is home to a small number of beautiful beach bungalows that effortlessly blend the latest in modern aesthetics, wide open spaces and plenty of light, with more traditional themes, such as a thatched roof and low level design. You would be forgiven for thinking that somewhere like the Serenity Resort would have little to offer by way of entertainment; however, in reality the resort has gone to great lengths to ensure that its guests are never bored. Exciting treks through the jungle on the back of an elephant, snorkelling and diving excursions and long, lengthy tours of the island can be arranged through the hotel and can be completed in privacy, away from the regular tour groups. Should you wish to have a less intense experience, then the opportunity to take classes in traditional Thai cooking is on offer to you, allowing you to take back some small part of your holiday with you when you leave. The resort has its own bar and restaurant on site, with an independent restaurant being located just a little way down the road. At the Bamboo Beach Bar, you will be able to enjoy a thirst-quenching selection of cocktails and other beverages, all while you enjoy the unspoilt view of the beach and sea. The adjacent Souk restaurant serves up tasty food all day, starting with a choice of simple or sumptuous breakfasts that can be enjoyed at the restaurant itself or on your own balcony. The prices here are remarkably cheap given the high-quality of the service as well as the food itself. With a host of tasty snacks, salads and seafood being served up throughout the day, no-one is going to be left feeling unsatisfied. Upon arrival, you will be greeted in opulent style, thanks to the gleaming marble floors and floor to ceiling mirrors which combine to create a grand sense of space, light and openness. The lighting fixtures have been carefully hand designed by Chiang Mai craftsmen in order to minimise the harsh light that is typical of Thai lightbulbs. There are seven bungalows in total, ensuring that your stay will be a peaceful one and with a private beach just seconds from your door, you will never need to worry about finding a spot on the sand for your towel. During the high season, you can expect to pay the staggeringly low amount of around 2,500 Baht per night for a room that sleeps two people. Each bungalow comes complete with air-conditioning, tea and coffee facilities and free Wi-Fi access, allowing you to enjoy all the comforts of home in an amazing tropical location. Should you wish to make this a family holiday, then cots and comfy mattresses can be arranged for children to sleep on, though this must be made clear when you book. Like the more popular White Sand Beach, Lonely Beach offers travellers unimpeachable sunset views of the Gulf of Thailand. Unlike its neighbour to the north, however, Lonely Beach attracts a younger crowd, many looking for a place to party. You might therefore wrongly assume that you won’t get much rest at Warapura Resort. However, you’d be mistaken. It’s a lovely spot by the shore, just far enough removed from the bar and nightlife area. The Warapura Resort makes the most of its location, offering its visitors value-for-money privacy and comfort that is often hard to find these days. As one might expect from a place known as Lonely Beach, the area around the resort is blissfully serene, with nothing but the sounds of the ocean and the jungle to keep you company. 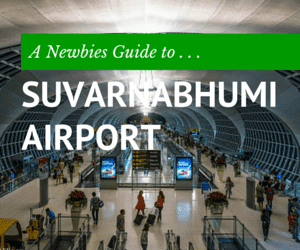 For the most part, you’ll find that your fellow visitors are backpackers, looking to take a break from hectic tours of SE Asia. This is not a hotel resort frequented by party people and, with only a handful of rooms on offer, it is simply not possible to be anonymously noisy. Should you wish to explore the island then cheap bike rental can be arranged from the reception. Anyone wishing to try the local nightlife can easily hire a cheap cab to take you to and from the local clubs. Unlike many of the resorts in Koh Chang, the Warapura Resort is not affected by its proximity to such venues, being far enough away that their sounds will never cause you a single disturbance. Since this is a reclusive resort, there are few amenities in the immediate area – making you reliant on the resort for most of your needs. Luckily, one of the stand out features of the resort, often drawing praise from its visitors, is the high quality of the food served and the low price that is asked in return. From a sumptuous breakfast buffet each morning to rich, flavourful traditional Thai curries served up in the evening, you are sure to be pleased with what’s on offer. Sunsets are made much more enjoyable with a drink in your hand so when night approaches, be sure to take advantage of the cheap drinks on offer – about 80 Baht for a nice cold beer or caramel ice coffee – which you can enjoy on the beautiful decking while staring out to sea. The Warapura Resort is a slightly bigger boutique location, offering guests a choice of between 15 various villas and rooms. Choose from a variety of locations, according to your needs. Some villas have easy access to the poolside while others face out to sea, meaning that you can wake up to some spectacular views and be lulled to sleep by the gentle sound of the waves. At around 2,400 Baht per night, this resort is fantastic value for money and each room comes replete with a great selection of complimentary features including Wi-Fi, a refrigerator, air conditioning as well as satellite TV and a DVD player. This means that no matter where you are on the resort, you are guaranteed a quality relaxation experience. Nest Sense Resort makes for the perfect island getaway for you and your partner. Situated beside the gorgeous Lonely Beach, the resort is one of the most exclusive experiences that the island of Koh Chang has to offer. The resort stretches over an impressive 6,000m² but with only 18 rooms on offer, there is plenty of space in between each one, ensuring maximum privacy and comfort for the duration of your stay. Making impressive use of the natural surroundings, this resort offers a blissful and cosy slice of paradise for anyone looking to get away with the one they love. Enjoy refreshing cocktails while you sunbathe and take in the view as the sun slips slowly beneath the horizon. The resort also offers a lovely chance to enjoy one of their sumptuous meals with their own private table set up, which can be placed around the resort and even on the beach as you require. If you really enjoy the food, and wish to learn to make it for yourself, then the resort offers on site cooking classes where you will be taught how to make classic dishes such as Pad Thai. This makes for an ideal way to spend time with your loved one and strengthen your relationship as you learn new skills together. Along with an infinity pool, offering spectacular views of the Gulf of Thailand, the Nest Sense resort is perfect for you and your significant other to enjoy each other’s company. Unlike some parts of Koh Chang, the south side of the island is much more traditional in nature and offers its visitors a more authentic experience. It is possible to arrange a wide number of trips from the resort, including excursions to a nearby fishing village, where you can take the opportunity to go squid and fish hunting in the sea. Tour groups do not frequent the area so you can still take part in fun activities like scuba diving and kayaking without worrying about having your idyllic holiday disturbed. A single night’s stay in one of the resort’s suites will cost around 7,000 Baht during the January high season, with some rooms going for about 2,000 Baht lower, some costing twice as much. All the rooms have access to their own private balcony, which offers an absolutely amazing view of the ocean. Each room can be booked at full-board or half-board, in addition to simply booking the room itself. With so much great food on offer, it is definitely worth the cost upfront. The rooms themselves come with a variety of luxury features as standard. This includes air conditioning, bathrobes, high speed wireless internet access and satellite TV. Some rooms offer convenient access to certain parts of the resort, such as the seafront or the pool. Should you wish to have a little more privacy, then there a few rooms set away from these areas that therefore attract little attention save for hotel staff. Mangrove Hideaway has been purposefully built to allow you to connect with nature in perfect comfort. With a wide range of luxury rooms on offer, this resort is an idyllic retreat away from the world, allowing you to recharge body and soul in utter privacy. As the name says, this is a hideaway, tucked away in a small recess in the coastline known as Salek Phet Bay and as such offers a sense of seclusion like no other. Located close to a number of small fishing villages, this is Thai life at its most natural, following a slower pace – one of friendliness, community and tranquillity. The retreat itself has been designed to blend in with its surroundings, forgoing garish modern architecture in favour of a more rustic charm that really helps to capture the stress free sensibilities of the Mangrove Hideaway. One of the stand out features of the Mangrove Hideaway is their meticulously planned biodynamic gardens that furnish the entire resort. By committing to living and working in harmony with nature, the resort has been able to minimise their ecological and environmental impact. While the plants that you see and smell are undeniably beautiful, they have also been carefully selected for their natural ability to repel the local insect population, including the ever dreaded mosquito. The Mangrove Lounge seamlessly blends in with its environment and offers up a selection of delectable dishes. The restaurant uses fresh seafood, as well as fruit taken from local orchards to make sure that all your meals taste amazing. You can order snacks such as smoothies, ice cream and cold, freshly pressed juices throughout the day that can be enjoyed on the restaurant’s deck. Up on the rooftop, you can enjoy a panoramic view of the mountains and surrounding bay area. While up here, it is possible to participate in yoga classes, enjoy a massage or simply sip a cold cocktail beneath the beating sun. The nearby mangrove from which the resort takes its name can be explored using one of the resort’s own kayaks. Alternatively, the resort can arrange for you to be taken to the island of Koh Phrao Nok, just ten minutes away, where you can enjoy soft, white sand beaches and crystal clear waters. If you are visiting during the high season, then jungle treks allow you to see the local wildlife at its most vibrant, exhibiting an exciting array of colours and sounds. These can be arranged through the resort and, being booked from such a quiet resort, allows you to avoid the crowds around the island. All rooms come with en suite bathrooms, along with complimentary toiletries, free access to Wi-Fi, satellite TV, bottled water on a daily basis and air conditioning. The resort also keeps a number of shared resources, such as DVD players and game consoles that can be placed in your room before or during your stay at your request. Rooms can be booked for as little as 2,000 Baht per night during the high season, making a stay at the Mangrove Hideaway an incredible bargain. Little Sunshine Resort is a relatively new development on the island, located on a private beach in the midst of the Siam Royal View development. The villas offer spectacular views of the surrounding bay, making this boutique resort one of the best places to take in the gorgeous sunsets and sunrises of the Gulf of Thailand. With its own tropical garden and 40m swimming pool, the Little Sunshine Resort promises that your vacation will be one spent in absolute luxury, helped by a welcoming atmosphere and staff who recognise the importance of privacy. Just behind the resort, you can find Koh Chang’s only golf course, a beautiful course where the 18 holes are spread out across a number of islands in the lagoon. Equipment can be hired from the club and a driving range is also nearby, should you need to brush up on your skills. White Sand Beach, which promises a rich nightlife is located a short 15 minute taxi ride away but, do not be worried about this interfering with your holiday. The Resort is situated away from the main roads, so most people will have no reason to come anywhere near it. If you prefer something a little more laid back, then the resort offers an on-site cooking class that will allow you to learn how to make traditional Thai dishes utilising fresh local ingredients. The island of Koh Chang is a great place to relax and the Little Sunshine Resort offers a number of outdoor spa treatments that take advantage of the restorative power of clean sea air, sunshine and beautiful surroundings. The resort has a number of trained masseuses on hand to deliver traditional massages, making use of a number of locally produced massage oils and aromatherapy treatments to fully still your soul. After your massage, take a relaxing soak in the whirlpool Jacuzzi, which is large enough to comfortably accommodate a couple and drinks can be brought to you while you bathe. If you can make it past the fact that their website plays ‘What A Wonderful World’ by Louis Armstrong on a constant loop, then you will find that booking a room will cost from around 4,000 Baht per night during the high season, though this can almost quadruple should you choose to plump for the Royal House, which consists of 2 rooms and an additional suite. All rooms come with satellite TV, free Wi-Fi access, air conditioning and a minibar but the bigger rooms are also equipped with their own kitchen, giving you the option of shopping locally and cooking your own meals – a far more intimate experience. Meals served up by the resort can be enjoyed at the restaurant, with a wide selection of national and international dishes on offer, though for an incredibly special experience, the resort can arrange for you and your significant other to have a romantic candlelight dinner on the beach.